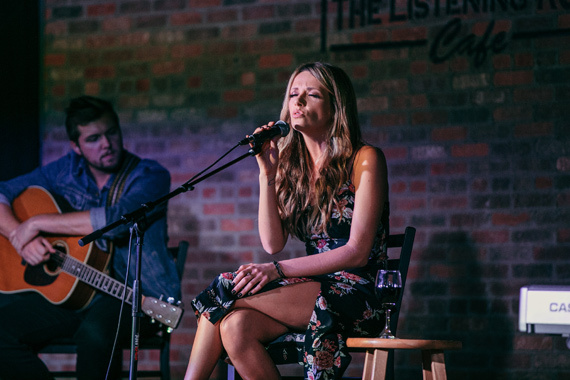 Hit songwriters Shane McAnally, Hillary Lindsey and Emily Shackelton joined Big Machine Records newcomer Carly Pearce on stage last night (Oct. 2) to celebrate the Oct. 13 debut of her Every Little Thing. A weight hung over the fan event at the new location of Nashville’s Listening Room Cafe. Namely, the tragedy that took place at Route 91 Harvest Festival in Las Vegas over the weekend. Of the album’s 13 tracks, Pearce performed nine titles acoustically, in the round. Four titles were new to fans, not having been previously available for instant grat. Young, front row fans recorded and sang along to each title. 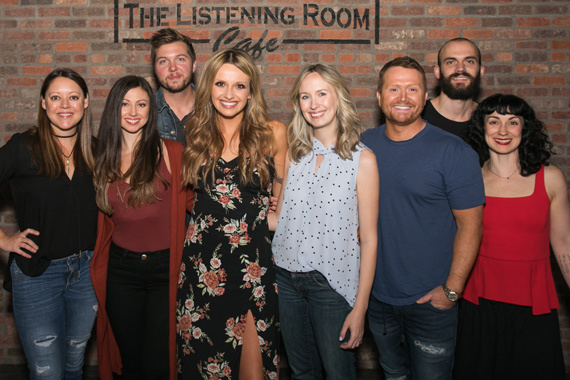 The Kentucky native introduced Shane McAnally, who has one outside cut on the project, “Feel Somethin’” with Natalie Hemby and busbee, in addition to a Pearce co-write with busbee and Pearce, “If My Name Was Whiskey.” The latter title was released to SiriusXM as a preview in addition to other instant-grat tracks. 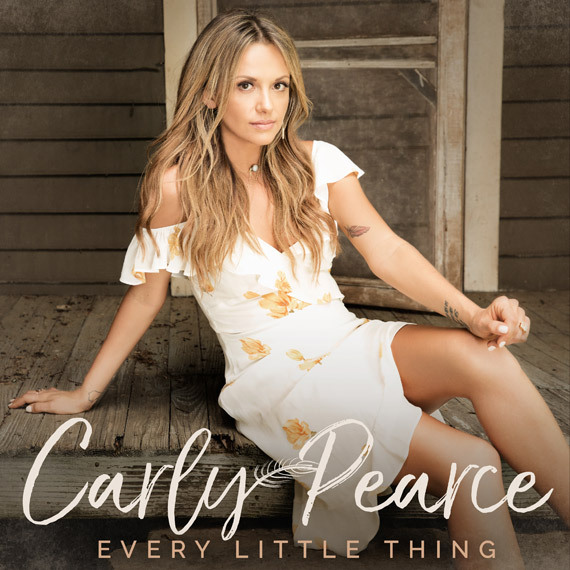 Pearce noted it reminds her of the timeless feel that the music from female country artists in the late ‘90s and early 2000’s had. 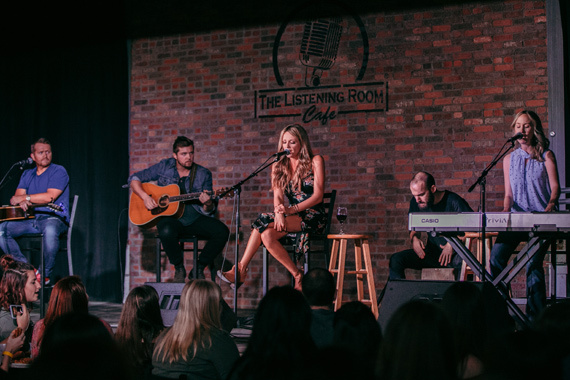 Lindsey performed two of her titles, two outside cuts, “Hide The Wine,” written with Ashley Gorley and Luke Laird, noting it will be her next single after “Every Little Thing.” Secondly, Lindsey performed “I Need A Ride Home” with Pearce, also co-written with Gorley in addition to Matt Jenkins. 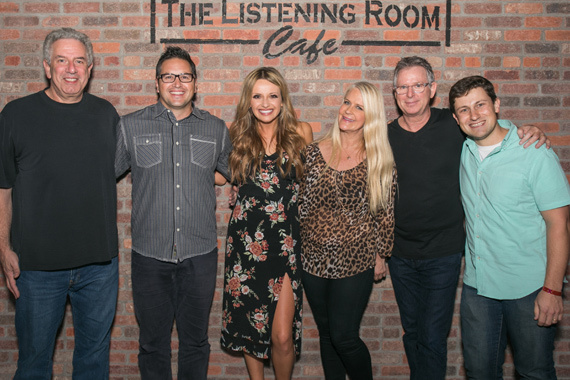 Pearce concluded by thanking two essential players who made Every Little Thing possible, BMLG owner Scott Borchetta and his A&R right hand Allison Jones, in addition to producer busbee and Vector managers Ken Levitan and Kevin Spellman.